If you feel that a building dispute is about to bring so much stress and trouble into your life, call a Sydney dispute lawyer NOW! Building disputes are usually caused by delays, poor workmanship, negligence, and payment issues. These situations can be legally settled and can be quickly resolved with the right building dispute lawyer. Are you having a hard time looking for a building dispute lawyer around Sydney? We are a Sydney-based law firm specialising in building and construction. In this article, we present you with our services and expertise so you would know why you should choose us. Before commencing on a building project, we can offer you reviewing and drafting services for your building contracts. 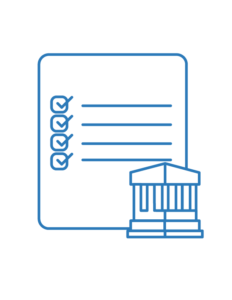 Our building dispute lawyer can help you in drafting your building contract by telling you what you can include in your contract. Creating your construction contract is one of the most important stages in planning your building project. Whether you are constructing a residential building or a commercial building, it is a wiser choice to consult with a legal expert. With the same help that contract drafting offers, our building dispute lawyer can provide you contract review services. 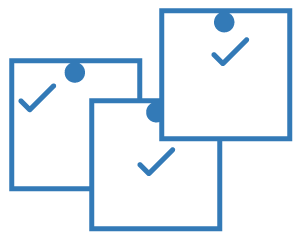 We can point out specific information which you can add, eliminate, or revise in your contract. Sometimes, disputes root from vague contracts. So it is important that your contracts are clearly written and reviewed by a construction lawyer. You can consult with our building dispute lawyer with all your concerns on building and construction. The construction industry can be physically and mentally draining. So it is better that you are getting the aid of a construction lawyer to guide you throughout the process. In case you are already in a building dispute or is planning to pursue a legal case, we can assure you that our building dispute lawyer can advice you on the proper steps to take. We can guide you every step of the way and represent you in arbitrations or litigations. Moreover, we will make sure that your rights are enforced and protected. Contracts Specialist is your best choice if you are looking for a building dispute lawyer in Sydney. As mentioned in our services, we can draft and review your construction contracts. Dealing with construction has been one of our strengths as we have handled all kinds of construction contracts. We can explain your contract to you in terms that you would understand. Payment disputes is one of the most common disputes in the building and construction industry. These disputes related to payment issues are settled under the Security of Payment Act. The Security of Payment Act ensures that any person carrying out construction services and supplying materials. It covers contractors, subcontractors, and suppliers. In addition, the Security of Payment Act covers short payment, late payment, and non-payment. Our building dispute lawyer can assist you in recovering your debts. We have vast knowledge on the Security of Payment and can advice you on all your concerns with payment issues. When the opposing party causes delays or failed with their contractual obligation, our building dispute lawyer can help you resolve the situation. We can look over your contracts and review the scope of your works. Rest assured that we can defend your rights and have them enforced throughout the process of your building dispute resolution. If you are already in a legal dispute, we can guide you on the proper steps to take especially when it has already involved governing bodies dealing with construction law. Our construction lawyer can advice you on Fair Trading building disputes, as well NSW Civil Administrative Tribunal (NCAT) proceedings. These governing bodies handle building dispute resolutions and can also guide you in resolving your building dispute. If you are looking for a building dispute lawyer around Sydney with expert knowledge on construction law, Contracts Specialist is the right choice for you. 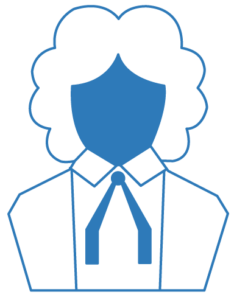 Lawyers and Barristers are both legal professionals who represent individuals in court and give them legal advice. However, lawyers and barristers have differences in terms of their scope of work. Can do paperwork for their clients. Can represent individuals in court. Does not tend to do transactional work. Here at Contracts Specialist, we offer a ‘No Win, No Fee’ option. For some matters, if the claim you have pursued is unsuccessful, you no longer need to pay any other legal fees. Additionally, we also offer a free first consultation. So best to call us immediately. We would want to assure that you are getting the quality service that you deserve. So if you think that you are in a certain situation and you need help, Contracts Specialist can be your best choice in hiring a building dispute lawyer around Sydney.